Lacquer: The Best Medicine! 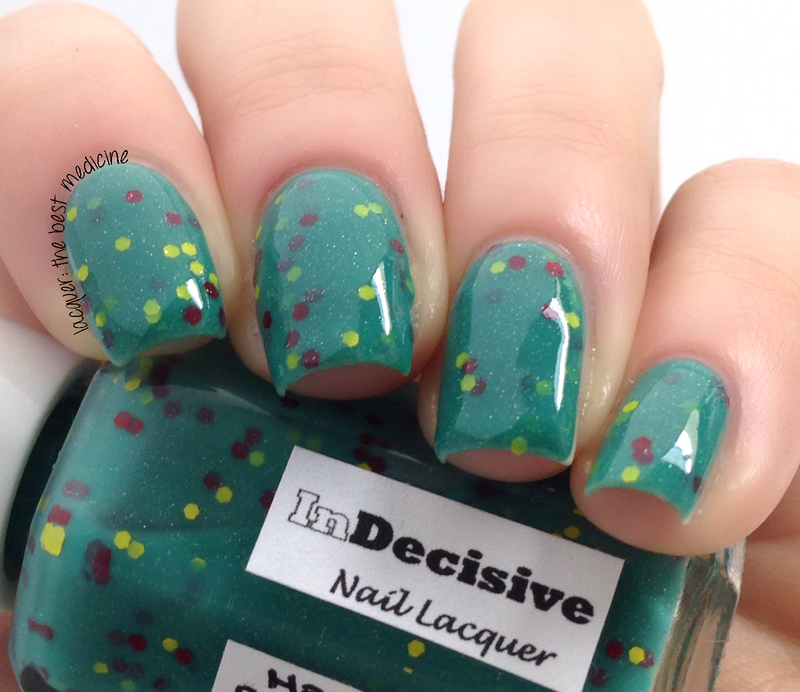 : InDecisive Lacquer Week | My Creation & GIVEAWAY! 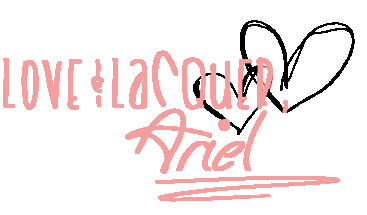 InDecisive Lacquer Week | My Creation & GIVEAWAY! Today's post will conclude InDecisive Lacquer Week, but I can't end it without a special treat! Aleksanda, the owner and creator of InDecisive Lacquer, and I worked together to create a polish that I've envisioned owning for so so so long, but I never could find one quite like it. Show your love with this polish, because if you like it enough, she will make it a permanent polish in her shop! How amazing right?! ADDED BONUS: All of my lovely followers have a chance to win a full-size bottle of this polish! Let's see how I did!! I decided to name this polish Hawaiian Punch-Drunk because it's bright and fun and it just makes me so happy! (It also reminds me of some sort of delicious fruity cocktail that I will someday drink in my mansion I own in Hawaii.) This polish is a teal-green holographic jelly with red and yellow hexes sprinkled in. I LOVE IT SO MUCH! Swatches show two coats with topcoat. WELL!?!?! What do you think!??! Are you as obsessed with it as I am!?!? Win one of your very own by entering the giveaway below! GOOD LUCK! Open to US residents only. LOL. So many options!! It's so much fun designing your own!